Draft: 2007, Milwaukee Brewers, 10th rd. Graduated from Reynoldsburg (Ohio) High School in 2004...was a member of the varsity baseball team for four years and was four-time All-League and three-time All-District...named All-State selection as a senior...played basketball for two years in high school...played baseball for three seasons at Ohio State University from 2005-07, where he hit .338 (205-for-606) with 36 doubles, seven triples, 10 home runs, 126 RBI and 118 runs scored in 172 career games...received Bachelors of Science Degree in Education with an emphasis in Sports Management fromOhio State in 2010...he and his wife, Alison, have three sons, Caleb (8/3/10), Noah (12/20/12) and Lucas (7/14/14), and reside in Reynoldsburg, Ohio. Played the majority of the season at Triple-A Rochester. Appeared in 67 games, 60 behind the plate as catcher…Was a Spring Training invitee playing in third consecutive Spring Training with the Twins…Set season-high with four hits and four RBI in second game with Rochester on 4/15 at Scranton-Wilkes/Barre…Hit safely in a season-high nine straight 6/7-18, hitting .405 (15-for-37) with three doubles, four RBI and seven runs scored during the streak…Caught all 16 innings in a 6-5 win at Lehigh Valley (7/3) recording 23 putouts…Hit .299 (49-164) with six doubles, 16 RBI and 22 walks in 51 games at Rochester before having his contract selected by Minnesota on 7/8…Started six games and appeared in seven for the Twins before an outright to Triple-A on 8/7…Rejoined the Twins on 9/1 as part of September additions. Played in eight September games including a start in the final game of the season (10/4 vs. KC) where he went 1-for-2 with two walks…Caught 14 of 32 (44%) baserunners attempting to steal at Rochester, committing just three errors. Was an invite to Twins spring training and reassigned to minor league camp Mach 17; reported to Triple-A Rochester. Hit first career grand slam May 17 vs. Durham. 18 of 43 hits (42%) in the regular season went for extra bases (11 doubles, 2 triples, 5 home runs). Red Wings went 36-22 when he started at catcher. Had contact purchased by Minnesota September 6. Made Twins debut as a defensive replacement September 11 vs. Oakland and homered in first plate appearance, becoming the sixth Twin to do so, first since 2010 (Luke Hughes). Hit safely in five of six games with the Twins and drove in a run four of those. Was an invite to Pirates spring training...started season with Triple-A Indianapolis and was Indians Opening Day starter behind the plate,going 1-for-3 with a double April 6 at Toledo. ... Had contract selected by Pittsburgh June 26. ... Made Pirates debut as pinch-runner July 1 and also played the final inning in left field...was first career major league appearance in the outfield. ... Played in four games, going 1-for-3 as pinch hitter, before being optioned back to Triple-A July 7. ... Batted .391 (9-for-23) in 13 July games for Indianapolis. ... Recalled by Pittsburgh September 1 and played in two games for the Pirates to finish the season. Hit .273 (63-for-231) with nine doubles, three triples, seven home runs and 27 RBI in 75 games between Double-A Altoona and Triple-A Indianapolis...Began season with Altoona and hit first Double-A home run on 4/8 at Erie; also the first long ball by the Curve in 2011...Hit .417 (25-for-60) with three home runs and 10 RBI in 21 games in May while playing with Altoona and was hitting .345 after 37 games with the Curve before being promoted to Indianapolis on 5/30...Made 16 appearances behind the plate, 11 in right field and three in left field with Altoona; also went 3-for-18 in six games as the designated hitter...Hit .262 (17-for-65) in 21 games with Indy before being selected by Pittsburgh on 6/24...Made Major League debut as a starter behind the plate on 6/26 vs. Boston and went 0-for-3 with a walk; also threw out one of the three runners attempting to steal against him that day...Singled off John Lannan for first career hit in second game of a doubleheader at Washington on 7/2...Hit safely in his last four starts with the Pirates, going 6-for-14 with three runs scored...Recorded first career multi-hit game on 7/17 at Houston...Had two hits, threw out Jon Jay attempting to steal second base and picked off Gerald Laird at second base on 7/24 vs. St. Louis...Was optioned to Indianapolis on 8/2 after Ryan Doumit was reinstated from the disabled list...Went 7-for-53 (.132) in 17 games after joining Indianapolis for the remainder of the season...Made 33 appearances behind the plate and three appearances in left field while playing with Indianapolis. Spent first full season in the Pittsburgh organization...Made 52 appearances behind the plate and 29 as the designated hitter for Single-A Bradenton...Hit .340 (32-for-94) with runners in scoring position and .340 (50-for-157) with runners on base...Was successful in each of his last 10 stolen base attempts after being thrown out in the second game of the year on 4/9at Fort Myers...Was charged with six errors in 400 total chances (.985 fielding percentage) behind the plate; also threw out 23 ofthe 62 baserunners attempting to steal against him (37%)...Reached base safely in 11 of his first 12 games but was hitting just .209(9-for-43) following the action on 4/23...Went deep in back-to-back games on 4/21 and 4/23...Hit .317 (26-for-82) in May after going12-for-65 (.185) in the opening month of the season...Hit a home run in two straight games and three of four from 5/16-19...Threwout all three runners attempting to steal against him on 6/4 at Lakeland...Suffered a high left ankle sprain on 6/6 and did not returnto action until 6/22...Was placed on the disabled list on 7/2 with a left eye socket fracture after being hit in the head by a pitch...Hada three-game rehab assignment with the Gulf Coast League Pirates from 7/26-28 before being recalled from his rehab and reinstatedfrom the disabled list on 7/29...Collected a season-high four hits on 8/20 at Jupiter...Hit .385 (25-for-65) in 20 games during themonth of August. Began 2009 season with Tampa (Yankees' A), where he made 55 appearances in left field, five appearances (two starts) at catcher and one start in right field (6/24)...Was acquired by Pittsburgh on 6/29/09 and was assigned to Class-A Lynchburg, where he made all 37 defensive appearances behind the plate; also went 4-for-33 in 10 games as the designated hitter for the Carolina League champions. Captured the 2008 South Atlantic League batting title and led the league with a .408 on-base percentage while spending entire season with West Virginia (Brewers' A)...Also ranked third in the league with a .506 slugging percentage...Was named to the South Atlantic League's post-season All-Star team in 2008 after not going more than two straight starts without recording a hit...Produced a .361 batting average (99-for-274) in his final 71 games in 2008, beginning with the action on 6/14...Went 5-for-5 with three doubles and six RBI on 7/6/08 vs. Hagerstown...Had a 13-game hitting streak and a 12-game streak in 2008...Made 55 appearances in left field, 39 behind the plate and one at first base (7/23 vs. Rome) with West Virginia in 2008. Began professional career with Helena (Brewers' Rookie) in 2007 after being selected by Milwaukee in the 10th round of the First-Year Player Draft...Made 33 appearances behind the plate and 10 as the designated hitter in 2007...Hit first professional home run on 6/28/07...Has made 266 appearances behind the plate, 122 in left field, 23 in right field and one at first base (7/23/08) during his Minor League career. February 14, 2018 C Eric Fryer retired. January 3, 2018 Philadelphia Phillies signed free agent C Eric Fryer to a minor league contract and invited him to spring training. January 3, 2018 C Eric Fryer assigned to Lehigh Valley IronPigs. July 25, 2017 C Eric Fryer elected free agency. July 24, 2017 St. Louis Cardinals sent C Eric Fryer outright to Memphis Redbirds. July 21, 2017 St. Louis Cardinals designated C Eric Fryer for assignment. March 29, 2017 St. Louis Cardinals selected the contract of C Eric Fryer from Memphis Redbirds. December 19, 2016 C Eric Fryer assigned to Memphis Redbirds. December 12, 2016 St. Louis Cardinals signed free agent C Eric Fryer to a minor league contract and invited him to spring training. December 2, 2016 C Eric Fryer elected free agency. July 26, 2016 Pittsburgh Pirates activated C Eric Fryer from the paternity list. July 23, 2016 Pittsburgh Pirates placed C Eric Fryer on the paternity list. July 4, 2016 Pittsburgh Pirates activated C Eric Fryer. July 3, 2016 Pittsburgh Pirates claimed C Eric Fryer off waivers from St. Louis Cardinals. June 28, 2016 St. Louis Cardinals designated C Eric Fryer for assignment. April 2, 2016 St. Louis Cardinals selected the contract of C Eric Fryer from Memphis Redbirds. November 29, 2015 C Eric Fryer assigned to Memphis Redbirds. November 18, 2015 St. Louis Cardinals signed free agent C Eric Fryer to a minor league contract and invited him to spring training. October 28, 2015 C Eric Fryer elected free agency. October 21, 2015 Minnesota Twins sent C Eric Fryer outright to Rochester Red Wings. September 1, 2015 Minnesota Twins selected the contract of C Eric Fryer from Rochester Red Wings. August 8, 2015 Minnesota Twins sent C Eric Fryer outright to Rochester Red Wings. August 7, 2015 Minnesota Twins designated C Eric Fryer for assignment. July 8, 2015 Minnesota Twins selected the contract of C Eric Fryer from Rochester Red Wings. July 4, 2015 Rochester Red Wings placed C Eric Fryer on the temporarily inactive list. December 23, 2014 Minnesota Twins sent C Eric Fryer outright to Rochester Red Wings. June 12, 2014 Minnesota Twins recalled Eric Fryer from Rochester Red Wings. March 16, 2014 Minnesota Twins optioned C Eric Fryer to Rochester Red Wings. September 9, 2013 Minnesota Twins selected the contract of C Eric Fryer from Rochester Red Wings. November 10, 2012 Minnesota Twins signed free agent C Eric Fryer to a minor league contract and invited him to spring training. October 29, 2012 C Eric Fryer elected free agency. 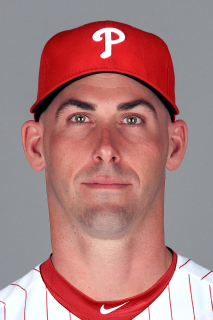 October 25, 2012 Pittsburgh Pirates designated C Eric Fryer for assignment. September 1, 2012 Pittsburgh Pirates recalled C Eric Fryer from Indianapolis Indians. July 7, 2012 Pittsburgh Pirates optioned Eric Fryer to Indianapolis Indians. June 26, 2012 Pittsburgh Pirates selected the contract of Eric Fryer from Indianapolis Indians. January 19, 2012 Pittsburgh Pirates invited non-roster C Eric Fryer to spring training. November 23, 2011 Pittsburgh Pirates sent Eric Fryer outright to Indianapolis Indians. November 18, 2011 Pittsburgh Pirates designated Eric Fryer for assignment. October 6, 2011 Pittsburgh Pirates activated C Eric Fryer. August 3, 2011 Pittsburgh Pirates optioned C Eric Fryer to Indianapolis Indians. June 25, 2011 Pittsburgh Pirates selected the contract of Eric Fryer from Indianapolis Indians. May 30, 2011 Eric Fryer assigned to Indianapolis Indians from Altoona Curve. April 2, 2011 Eric Fryer assigned to Altoona Curve from Bradenton Marauders. January 18, 2011 Pittsburgh Pirates invited non-roster LF Eric Fryer to spring training. July 28, 2010 Eric Fryer roster status changed by Bradenton Marauders. July 26, 2010 sent C Eric Fryer on a rehab assignment to GCL Pirates. July 2, 2010 Bradenton Marauders placed DH Eric Fryer on the 7-day disabled list. Fractured left eye socket. July 2, 2009 Lynchburg Hillcats activated C Eric Fryer. June 30, 2009 Tampa Yankees traded LF Eric Fryer to Lynchburg Hillcats.